There are 16 ways and counting to use The Perfect Bib! Read A Small Village's Review here about how she discovered one of those 16 ways! Enter to win the giveaway below and you maybe you can discover a new way to use it! Giveaway is open from March 18-31, 2014. Good Luck! Zulema Tomlinson, blogger at A Small Village received this product to review and giveaway a Perfect Bib to one of her readers. 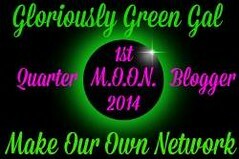 All participating blogs are not responsible for prize fulfillment. This giveaway is in no way associated with social media sites including Facebook, Twitter and Pinterest.